​All the teachers at Abhinam School are Yoga Alliance certified Instructors with years of experience of teaching and practicing yoga. Most of them have also been personally guided and trained by Namito. ​The location in Thailand is at Chestnut Hill Eco Resort, Hat Yai, Songkhla, Thailand, where the courses are organized make it an unforgettable experience. The breathtaking and the natural ambience of Chestnut Hill Eco Resort with its lush green environs and perfect weather in the lap of mountain provide an excellent location for meditation, pranayama and yoga classes. ​Anyone who has a passion for Yoga, wishes to do an in-depth study of Asanas and Pranayama, Meditation and Yoga philosophy or would like to share the benefits of this practice with others should feel free to apply for this course. If you have been practicing Ashtanga Vinyasa Primary Series for at least 3 months, it’s an added advantage. But also if you have no or little experience in Ashtanga Vinyasa this course will be suitable for you. Why Join Yoga Teacher Training Courses (YTTC) Why Yoga Teacher Training Course at Chestnut Hill Eco Resort, Hat Yai, Thailand Offered By Abhinam Yoga Center? Abhinam Yoga TTC School in Dharamsala & Goa, India was established by Namito a lifelong disciple of Mr. BKS Iyengar. We teach a unique combination of Ashtanga Vinyasa Flow based on Iyengar’s alignment principles. The knowledge of correct alignment is essential for every Yoga practitioner. Only through that can one truly benefit and practice injury free Yoga. Dedicated to each student’s individual growth, Abhinam Yoga creates a supportive and non-competitive learning environment.of Mr. BKS Iyengar. 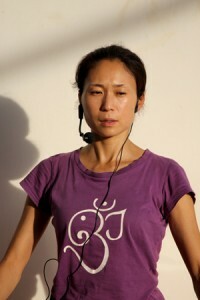 We teach a unique combination of Ashtanga Vinyasa Flow based on Iyengar’s alignment principles. The knowledge of correct alignment is essential for every Yoga practitioner. Only through that can one truly benefit and practice injury frees Yoga. Dedicated to each student’s individual growth, Abhinam Yoga creates a supportive and non-competitive learning environment. And now we offer YTTC Course in Hat Yai, Thailand. The objective is to provide beginners and experienced Yoga students with strong technical and theoretical experience. This will enable them to perform Ashtanga Vinyasa Yoga Primary Series with perfection and correct alignment. The course will equip the future teachers to be completely autonomous and ready to run their own yoga classes at the highest standards. ​At the yoga TTC at Abhinam Yoga, students learn a unique combination of Ashtanga Vinyasa Yoga and Iyengar alignment principles. This approach has an ultimate goal of practicing injury free yoga. Every morning, students start the day with pranayama class, which is focused on different breathing techniques. This practice gives a good foundation for the ashtanga vinyasa flow class. In the beginning of the TTC, the ashtanga vinyasa class is lead by senior teachers, later students do their own self practice, i.e. mysore style. The subject of classes in the middle of the day changes every week; going from yoga philosophy, through anatomy up to Ayurveda. On the top of that, students also have marketing classes, during which they get tips on how to promote themselves as yoga teachers and how to do marketing for their future yoga centers. The afternoon program starts every day with the teaching methodology. Students learn all postures in detail not only to enhance their own practice but most importantly to help others, their future students, to get into and be correctly aligned in each and every pose. During the afternoon yoga classes, students get introduced to other yoga styles, i.e. yin yoga, hatha yoga or restorative yoga. The day is concluded with an evening meditation. From the second week of the TTC, students actively participate in teaching as well as adjusting others during the classes. This gives students and future yoga teachers the best opportunity to learn how to teach in a very supportive, open and safe environment. After finishing 200 hours TTC at Abhinam Yoga, students are trained as well as confident enough to act as yoga teachers and lead yoga lessons. At Abhinam, our vision is not only to develop successful yoga professionals but also to spread peace and harmony in the world through promotion and dissemination of a holistic yogic lifestyle. We want to present a holistic vision of Yoga which addresses body, mind and our innermost being. Abhinam School is dedicated to bringing Yoga out of its current “succeed at all cost culture” and to teach Yoga injury free.and harmony in the world through promotion and dissemination of a holistic yogic lifestyle. We want to present a holistic vision of Yoga which addresses body, mind and our innermost being. Abhinam School is dedicated to bringing Yoga out of its current “succeed at all cost culture” and to teach Yoga injury free. Our Teacher training courses are aimed to provide a complete holistic study of the subject of yoga. The theme of the teacher training courses (TTC) is learning the art of teaching yoga in its totality. Our Yoga teacher training courses structure has been conceptualized and designed in such a way that students will be taught postures with the primary focus on alignment in order to develop a solid foundation of asana and alignment practice. This will help them to improvise sequencing a Vinyasa Flow class. So when they start teaching, they can make their own choreography or composition of yogasanas. In ancient days, Yoga was taught from the childhood. All the postures were presented to children with Vinyasa Flow. It was used to motivate children into practicing yoga during their stay in Gurukula, the mystery schools. So that they can just touch and go, in and out of a pose, feel playful, practice jump back-jump through, forward bend, back bend, twists, inversions, sitting poses and rest of it without being bored. This was the beginning of their journey into yogic life. In other words, it is a dynamic practice of Asana synchronized with breath. Asanas are practiced in a sequence in a dynamic and flowing style using breath, drishti (gaze) and bandhas (energy locks). It will enable students to teach Ashtanga yoga and also create their own Vinyasa Flow sequences according to their group of students. We also focus on alignment, therapy and restorative yoga which is very helpful to prevent injuries and it gives quick recovery from fatigue during the intensive training. Check our TTC Fees and Dates page to know about our price. An early-bird discount is offered for applications of at least 2 months in advance. A booking fee (part of the total amount) is due with the application to be paid through bank transfer and non-refundable. The balance amount must be paid in cash on arrival at Abhinam Yoga Center or transferred to the account directly before arrival. The whole amount can also be paid at once, then the booking fee does not have to be paid separately. The entire booking fee, course fee, price for accommodation and meals are strictly non-refundable and the price mentioned in our website is final. We are not responsible if the fees are not updated accordingly in third partner sites. Students must confirm the final TTC price offered to them before booking. The course fee includes study material, teacher training course manual, 3 yogi vegetarian meals per day (except Saturdays and Sundays) and accommodation. We offer our students an option, if they want to make their own food and accommodation arrangements. In that case, we would refund or deduct 300 Euros from the fees. We also provide airport pick- up/drop assistance from Hat Yai International Airport.